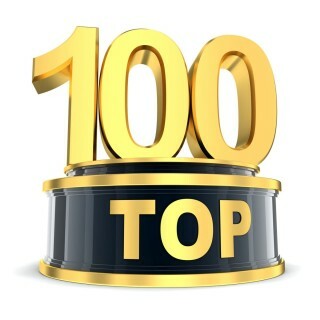 Here is the list of Top 100 brilliant SAP PM interview questions and answers. These are mostly asked in accenture, IBM, Capgemini SAP PM interview questions. We have provided SAP PM questions answers and explanations for experienced professionals. Please add this web page in your favorites. Ques 1. What is the master data in SAP PM? Ques 2. Is maintenance plan a master data? Answer. No, Maintenance Plan is not a master data. This is a point of confusion among many consultants who think that Maintenance plan is master data. Maintenance plan is a transaction data and it is part of preventive maintenance process. Ques 3. What is purpose of Technical ID field in equipment master data? Answer. Technical id field should have the technical id of equipment according to engineering drawing. For example: There is an equipment 10002745, now operations and maintenance department can not find out this id in engineering drawing. Therefore, therefore, there should be some field in master data where we can maintain technical id. Ques 4. What is purpose of construction type in equipment master? Answer. Please read my article on construction type. [Read full answer]. Ques 5. Is it possible to change the equipment category once created? Ques 6. Where does cost of CAPEX order settled? Answer. CAPEX orders are settled on WBS elements. Ques 7. What is t code to create a catalog code and code group? Ques 8. Can you use call horizon and shift factors in multiple counter plan? Answer. No, there is no such option. Call horizon and shift factors are assigned in Single Cycle Plan and Maintenance strategy plan not in Multiple Counter plan. Ques 9. What are class and characteristics? What are their use? Ques 10. What is object information key in SAP PM? Ques 11. You tried to install an equipment on a functional location but system gives you an error. What could be the possible reason? Ques 12.Which task lists are object based? Answer. Equipment task List and Functional Location task Lists are object based because they are created with reference to a technical object. Ques 13. Which order type you use for refurbishment? Answer. As per standard SAP settings PM04 is used for refurbishment order. Ques 14. Is it a rule that you will use PM04 order type for refurbishment? Can you configure another order type for refurbishment? Answer. There is no rule as such. You can configure any order type for refurbishment. There is a configuration setting in SPRO. Please check below path in SPRO. Once this indicator is set for any order type, the order will be created with reference to material (not equipment). Ques 15. What is catalog in SAP PM? Ques 16. What is catalog profile? Ques 17. Which t code is used to do usage decision on inspection lot triggered by calibration order? Ques 18. Which Work Center Category is used for plant maintenance work center? Ques 19. Which t code is used to create refurbishment process? Answer. IW31 and IW81. This questions can be asked and interviewer expects you to answer both t codes. Ques 20. Which equipment category is used to represent Laboratory equipment? Ques 21. Where do you assign activity type in master data? Answer. We assign Activity type in Main Work Center. From main work center it automatically copy to maintenance order. Ques 22. What is t code for deadline monitoring? Ques 23. Is it possible to schedule an individual plan? What is the t code? Answer. Yes, it is possible to schedule an individual plan. You can use t code IP10 to do so. Ques 24. Which movement type is used to post goods movement against reservation triggered from maintenance order? Is it possible to change it? Answer. Movement type 261 is used to post goods against reservation triggered from maintenance order. Yes, it is possible to create a custom movement but it is not recommended to do that. Ques 25. What is the t code to create Activity type? Who create activity type? Answer. KP26 is the t code to create Activity type. Generally CO consultant creates the activity type. However, plant maintenance consultant should also know the process to create the activity type. Ques 26. What is the criteria to change the equipment category? Ques 27. Which material type is used for maintenance spare parts? Answer. For spare parts (Stockable) material type is ERSA and for non stock items material type is NLAG. Ques 28. Why Manufacturer field is important in equipment master and functional location master? Answer. “Manufacturer” is used in reports such as MCI2, IE05, IH06. By using these reports we can analyze which Manufacturer machinery is undergoing maintenance most. We can also analyze which Manufacturer machinery is taking maximum efforts and cost of maintenance. Therefore, business can take important decisions while making future purchase of plant machinery from that manufacturer. For better reporting we should maintain a value in this field in equipment master. Ques 29. Which configuration setting allow a Calibration order to trigger an inspection lot from maintenance order? If this configuration is not maintained then you cannot trigger inspection lot from a Calibration Order. In general we use order PM06 as Calibration Order. Ques 30. What are various possible settlement receivers in a maintenance order? Answer. For the Maintenance there are number of settlement (or cost) receivers but only few are relevant in practical scenario. Select Settlement Profile “40” to see the complete list. Ques 31. What are difference type of planning are used in SAP PM Module? Ques 32. 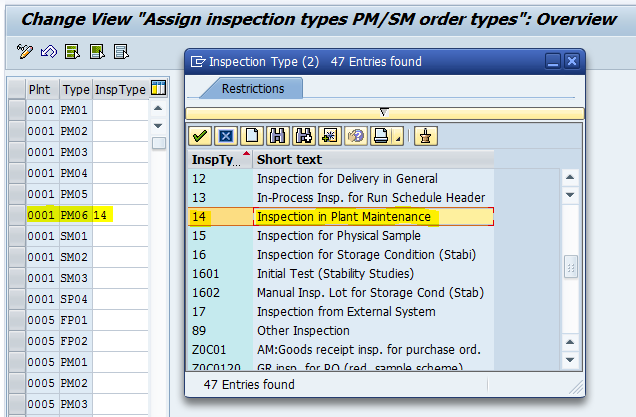 How many ways you can create a maintenance order in SAP? T code IW34: You can create maintenance order with reference to a notification using t code IW34. I request you to run this t codes in SAP and check out the initial screen. Generally end user does not use this but for interview purpose you should know it. T code IW81: You can create refurbishment order using this t code. No other order can be created using this t code. Scheduling of Maintenance Plan: When you schedule a maintenance using IP10 or IP30 t code system triggers a maintenance order as per the schedule. Here maintenance order is triggered automatically. T code IW28: IW28 displays list of notifications in change mode. 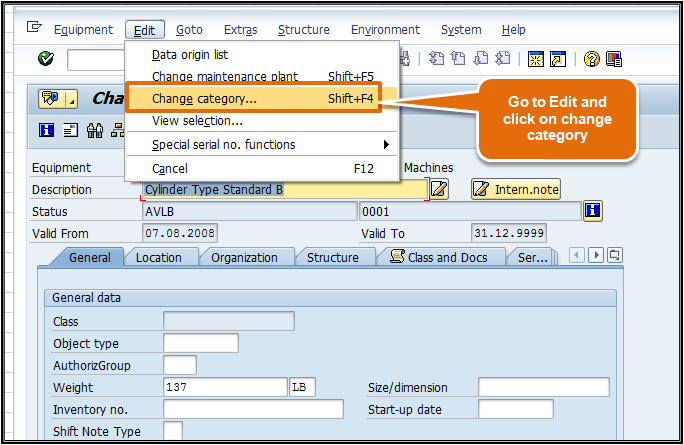 At the top application tool bar there is an option to create maintenance order. You will have to select the notification and click on create order white sheet. This will redirect you to t code IW34 screen. Try this. Ques 33. Suppose I have two counters in a multiple counter plan. One is 1000 kms and another is 2000 running hours. If I want to trigger a maintenance order when both criteria are full fill or if any one of the criteria full fills. Do I need to make an enhancement in system or there is an SAP standard setting to achieve this? If we select radio button ‘OR‘, it means that any of the counters cross the threshold value the maintenance order will trigger from Multiple Counter plan. Please note that above concept is applicable to only Multiple Counter Plans. Q34. Why cost center field is important in equipment master? Answer. Cost Center field is important in equipment master because at the time of creating the maintenance order with reference to equipment it automatically copies to the maintenance order “Location” tab under account assignment sub-screen and then it automatically populated in the settlement profile depending upon the SPRO settings in settlement profile. It is important for Breakdown, Corrective, Preventive, Calibration and predictive Maintenance because in these processes the maintenance cost is settled on cost center. Q35. What is purpose of maintenance activity type in maintenance order? Answer. Purpose of maintenance activity type is to further classify(or categorize) the maintenance process according to type of maintenance business. For ex: Cleaning, Lubrication, Pre Shutdown activities, Inspection,Repairing, Rework, Shutdown etc. a. It is placed at the header of maintenance order. It is a 3 Character key. It is recommended to use numbers here so that you can start from 000 to 999.
b. In configuration we can define it and assigned to maintenance order types so that only relevant Maintenance Activity type appears on the maintenance order screen. c. It is used in various standard reports to track and analyze maintenance incidents and cost based on Maint. Activity Type. For ex: IW38/39, MCI8. In these reports we can analyzed in preventive maintenance how much budget is utilized in “Repairing”, how much in “Inspection” in a certain period of time. Q36. Why does settlement of a maintenance order is important? Answer. Settlement of a maintenance order is important because if we will not settle the cost on a valid receiver such as cost center, internal order, WBS element etc then cost will remain on the maintenance order and not reflect in management reporting. Management reporting is important for profitability analysis. Q37. What is structure indicator? Answer. Structure indicator specifies the general structure of functional location label. 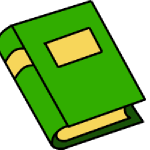 It contains edit mask which decides the format or syntax of label and hierarchy levels. Structure Indicator helps business to define their plant and machinery in a structured manner. For example: At the top level we can have plant, then Area, sub-area, section and so on. By defining Structure Indicator in above manner we can ensure that we get some good reports at each level such as how many breakdown incidents have occurred in a certain location or level. In which area cost of maintenance is very high. Q38. What is Edit mask? Answer. Edit Mask is a part of structure indicator. It defines the format of functional location label. Edit Mask decides the type of characters allowed in functional location label. Q39. What is difference between system status and user status? System status is an Standard SAP element which set internally by SAP when we post certain transaction in SAP. However, user status is a configurable element which can be configure in SPRO to make certain transaction more informative and systematic. User status can control certain business transactions allowed by system status. For ex: We can Stop the system status notification completion (NOCO) unless a user status (PRCN – Production Confirmation) is not set. We assign all user status to a status profile and assign that status profile to notification type or order type or equipment category etc. This gives a flexibility to use different user status with different notification types but we do not have such flexibility with system status. We can set more then one user status at a time if we do not put a number with it in SPRO. 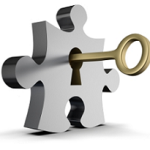 We can assign an authorization key to each user status and link this key with the user id so that only authorized person with authorized key can set that particular user status. We can assign user status to following object types in PM module: Equipment, functional location, maintenance notification, maintenance order, maintenance plan, tasks in notification, PM operations. Q. 40 Is it possible to assign a user status to the operation and sub operation of a maintenance order? Answer. It is possible to assign user status to the operation of a maintenance order but not to sub-operation. We have cost center in Main Work Center as well as in equipment master? What is the purpose of maintaining cost center at both places? What is concept of equipment numbering? Why do you need an equipment and functional location both? Is it possible to change the structure indicator of functional location? What is the business purpose of field authorization object in equipment master and functional location master? How equipment master is integrated with asset master in FI module? What is the purpose of user status in notification? As a consultant what do you recommend to your client on the use of this facility? Which configuration setting allow a Calibration order to trigger an inspection lot from maintenance order? How breakdown maintenance and corrective maintenance are different from each other? How a general task list is different from equipment and functional location? Is it possible to install an equipment to a functional location without data transfer from function Location to equipment? What is difference between activity type and maintenance activity type? What is difference between single cycle plant and maintenance strategy plan? What is maintenance plan? Name all types of maintenance plans. What is call horizon? Explain with example. What is shift factor? Explain with example. How maintenance strategy plan is different from multiple counter plan. If I want to trigger a maintenance order from a maintenance plan on every 7th day of a month, then what settings will I do in the maintenance plan other than a maintenance cycle of 1 month. I have scheduled a maintenance plan but I am unable to see the all due (Plan) dates of maintenance order in schedule overview. Which setting will I check in maintenance plan? Which t code can give you the list of all pending preventive maintenance order for the coming month? Is it possible to trigger a notification from maintenance plan? How? What is purpose of offset entry in single cycle maintenance plan? Is it possible to create and schedule a maintenance plan without task list? Can we assign more than one maintenance item to a maintenance plan? Can we assign one maintenance item to more than one maintenance plan? Explain use of each control key with example. A reservation is triggered from a maintenance order and user is trying to issue material from warehouse with reference to the reservation. But system is not allowing goods issue? What I need to check? Which goods movement is used to issue material with reference to a reservation triggered from a maintenance order? How can you get the maintenance cost separately for labor, external services and material in a maintenance order? What action will you take if inspection lot is not generated from calibration order? Which setting will you check? What configuration required in MM module for refurbishment process? What if maintenance failed refurbish a material, how will you handle such situation in SAP? Is it possible to enable permit approval in maintenance order? How? What are different reports related to Catalog in SAP PM? On the notification initial screen we select the notification type using IW21 t code. Is there any t code using which we can skip the initial screen and directly open the notification main screen? What is business purpose of equipment BoM? What is purpose of serial numbers in SAP PM Module? 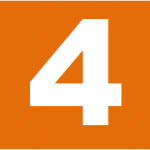 In which business process you can use serial numbers? Is it possible to enter measurement document for a measuring point without any numeric value? Such as Yes/ No or OK/ Not OK. How? Why completion confirmation is important for business? How does actual cost of maintenance come on maintenance order? What are MTTR and MTBR reports? Is it possible to assign user status to a sub-operation in maintenance order? What is purpose of sub-order? What is the t code to create a sub-order? How PM module is integrated with QM module? How PM module is integrated with MM module? How PM module is integrated with PS module? How PM module is integrated with FI module? How PM module is integrated with CO module? How PM module is integrated with EHS module? Suppose there is a measuring point for temperature and while recording the values of temperature there is a deviation of values from given limits? Is it possible to throw a warning or error message? What is the configuration setting available? How will you make a field mandatory in maintenance notification for a certain notification type? Which price of material is fetched while calculating material price in planned and actual cost in maintenance order? What is service entry sheet? Why it is important for plant maintenance module? What is reference functional location? Suppose there is a difference between the planned and actual hours of internal manpower where will you document the reason/ cause of this variance. Is there any standard SAP facility available to address such situation. Excellent Q & A…Beautifully explained in an understandable manner. I appreciate your command on the subject. well done! Is there a way if you have two maintenance plans on one equipment, say one for monthly and one set up for yearly, with separate task lists. Is there a way to move the yearly plan up by two months (June to April) and not skip or delete current monthly plan? 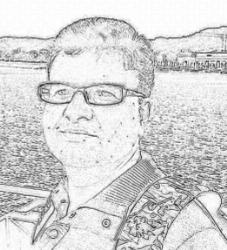 I really salute to your wide knowledge in SAP PM. I would request you to please answer all the remaining questions as soon as possible. May I also know if you conduct any training sessions on SAP PM. If yes, please share the details. I would love to join the classes. “HATS OFF” for this excellent work, I really appreciate your hard work and time. The whole article is very informative and easily understandable “THANKS”. great work sir! appreciate your effort. Please share remaining answers too. Very good content. Please share the answers for rest of the questions. Thanks. I request you to keep watching this web page. I will answer all the question step by step. Wow I have never seen some one explaining that much clearly about PM, I Appreciate you effort. I learned a lot from this article Thanks. Can you help me with Calibration and Refurbishment process user manual (configuration and end user manual). I am working on Calibration and Refurbishment process. Very soon I will post articles on both processes. Please subscribe my website for email alerts. liked your post very much. i could not find the answers of these questions. could you share the answer of these..it will be very helpful.. Thanks. I will answer all the question step by step. keep watching this web page. Thank you very much for the effort, this is really good…..
its really helpful to me as a learner.. Excellent document, I only have a couple of comment that I consider as inconsistencies, if you want please send me a note by email to discuss them. Best regards and congratulations for this excelent work! Thanks Marcelo. I have sent an email to you. Please respond. I would love to improve the content and remove the inconsistencies. Very well written and even small things are kept in mind while writing the questions. Thanks Mandhir. I am glad to know that you liked the post. Please have a look on other articles also and give your opinion. thanks for this good post, what about the answers ? Thanks Milad. Please keep watching this post, I will update answers step by step. These questions are very very useful for all PM Consultant. Where is answer of these question, Please also share the answer. Awesome work. I really appreciate it and we should keep on sharing our thoughts and knowledge. Happy to know that you liked SAPLoud. Thank you very much, Appreciate your effort. It will be useful for everyone! I am glad to know that you liked the post. I will keep on updating this post with answers. Keep watching. I also request you to share this article with your friends and colleagues on social network (LinkedIn, Facebook, twitter).